There was something of a bombshell greeting me when I awoke today, and it’s probably fair to say that it is still sinking in. In fact, it is proving something of a big deal for many across the internet, if a quick skim of my Twitter and Facebook feeds are anything to go by. I am, of course, talking about the announcement that Facebook is to acquire Instagram. That sentence perhaps doesn’t quite do the situation justice. Let’s give that another shot. I am, of course, talking about the announcement that Facebook is to acquire Instagram for $1 billion. As is the case with anything and everything that Facebook does these days, the move has been met with a whole range of reactions. Without a doubt, the reaction that I have witnessed the most is one of disappointment. Nay, despair. But why? Facebook, it seems is the current opposite of an internet darling. If Instagram was the web’s Mickey Mouse, Facebook was probably its Darth Vader. Strong, almost unstoppable and generally not liked. The reasons are many, with the public’s perception of Facebook’s stance on privacy leaving them to despise the company on many levels. And when I say public, I mean the vocal ones who like to spout about privacy and rights online. Not the real public. They’re all friending each other and playing Farmville without a care in the world. You know, because they’re not busy perfecting their tinfoil hats. Those who would happily watch Facebook implode are now fearing that Instagram is in the hands of the Wicked Witch. That it will be turned into some giant, ad-laden behemoth that will try and steal your soul or, at the very least, your first born. I’m reliably informed that the Zuck himself prowls the streets in San Francisco looking for puppies to kick, too. What people seem to forget is that if Instagram had not been bought by Facebook, then its current board and head honchos would have eventually have needed to work out how to pay to run the service. Keeping 30-million users and their photos online isn’t a cheap proposition, and with the app being free along with no ads or subscription model, Instagram had no way of paying the bills. Sooner or later, that would have changed. Or, it would have gone under. Even Twitter, the bastion of all things free and often heralded as the online company with zero income is now beginning to lean towards the ad-powered model of Facebook. Sponsored tweets and the like will pay the bills going forward. Instagram would have eventually have needed a similar solution. Would people have whined about that, too? Youbetcha. So, Facebook buys Instagram for more money than any of us would have imagined – making its largest shareholder and founder a cool $400 million or so in the process – and immediately the possibility of ads is abhorrent. People do realize things can’t be free forever, right? All that said, they should be worried, but not because Facebook is going to bring ads to Instagram or Zuckerberg is going to put all your photos through facial recognition to enable targeted deals. 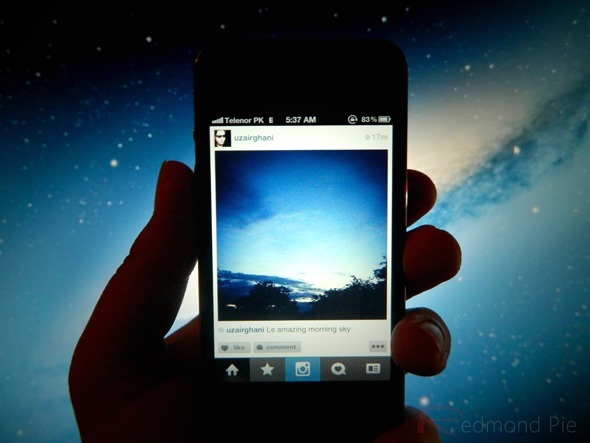 More likely, Instagram will simply be absorbed into the world of Facebook. Now before the emails begin, I realize the official line is that Instagram will be run as a separate entity to Facebook and that it will continue to stick around. I’m sure it will. At first. The real question has to be one about Facebook’s reasons for buying Instagram in the first place. Was it for the talent? Possibly. Technology? Surely Facebook could have done something similar on its own. I don’t have a real answer myself, but I’m sure that whatever Facebook does, it won’t want, nor need Instagram to be a competitor to it. Especially if it isn’t generating cash. There goes those ads again. Before I leave you all to froth at the mouth because I’m not waving my pitchforks in Facebook’s direction and demanding they give Instagram back, I shall ask you this: if Instagram had turned around and said that it needed to start charging $5 a month for bandwidth costs, would you have paid? No? You want it to stay free forever? So why do people have the right to moan that it may not stay how you like it?